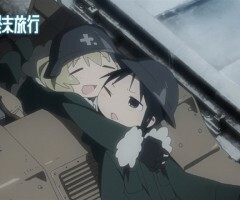 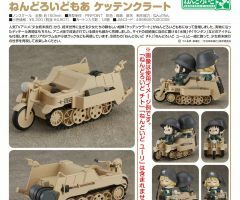 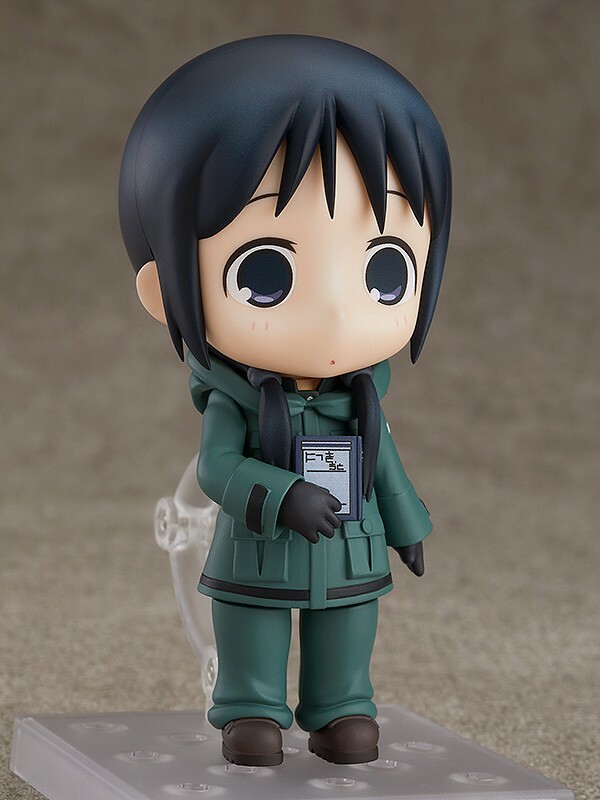 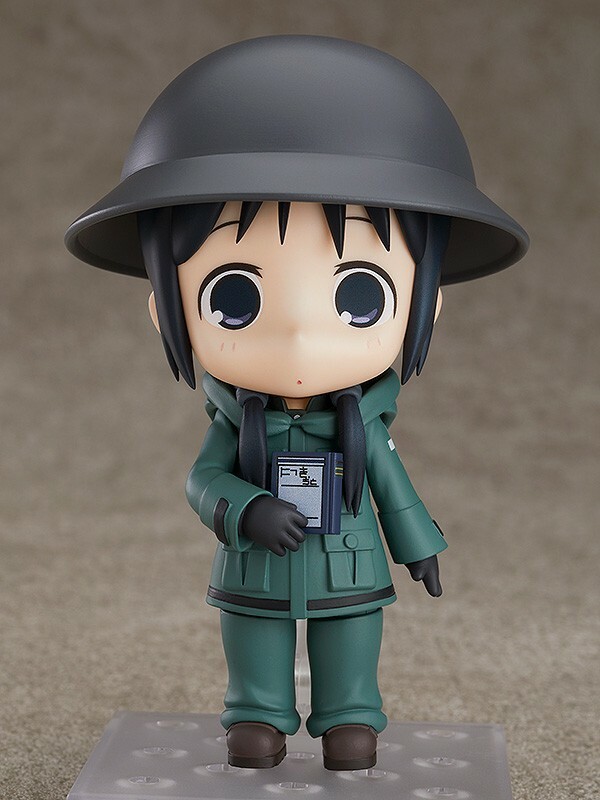 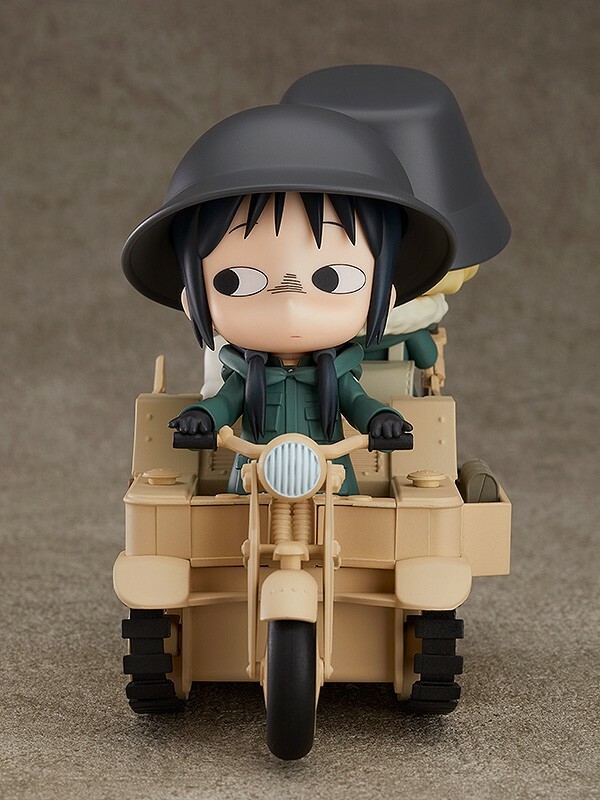 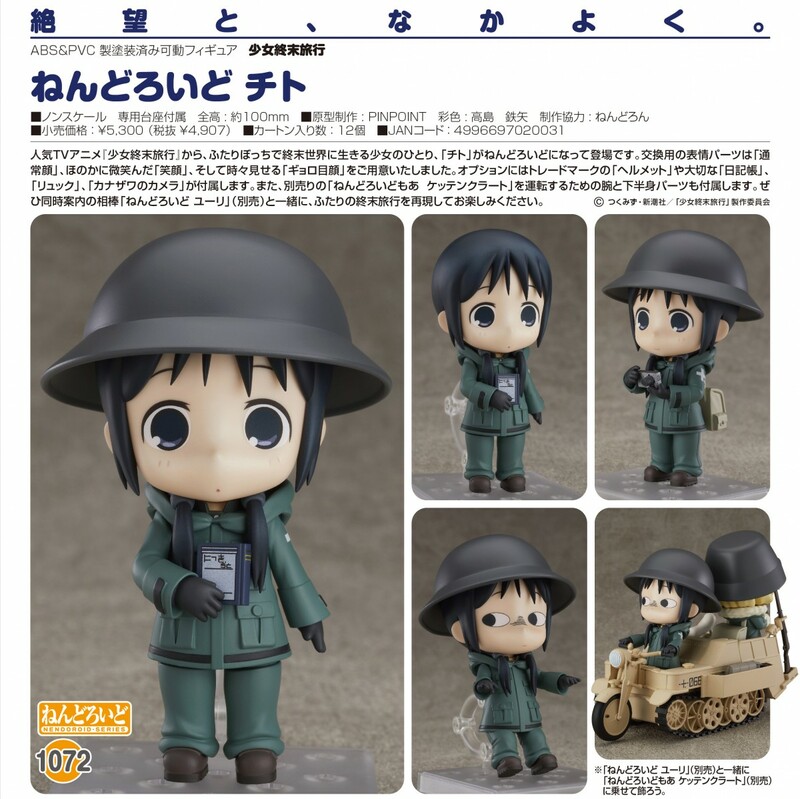 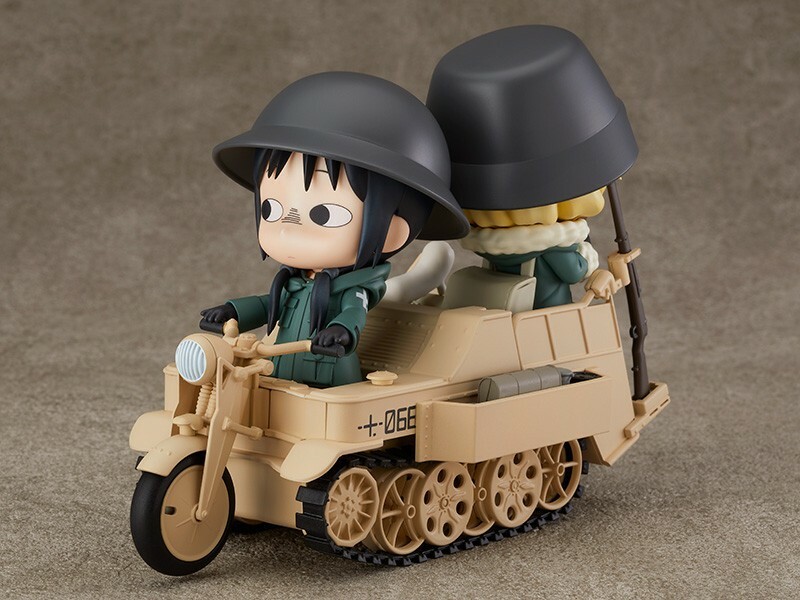 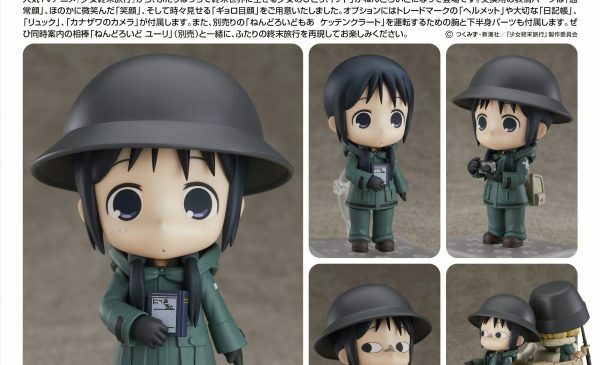 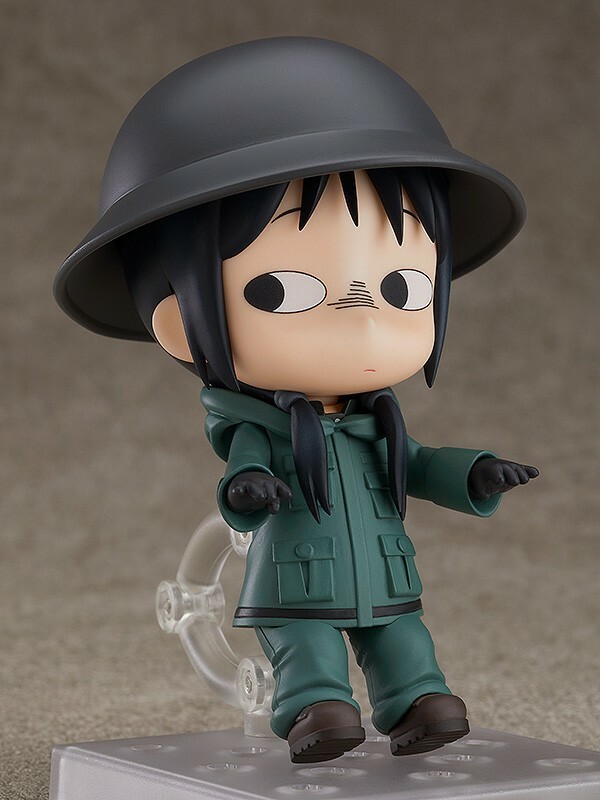 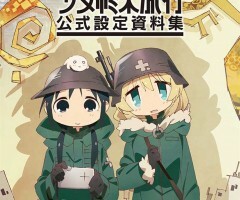 From the popular anime series “Girls’ Last Tour” comes a Nendoroid of one of the two girls surviving in the post-apocalyptic world, Chito! 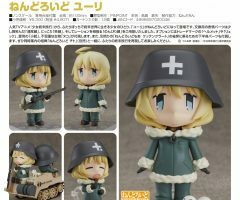 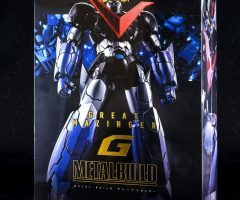 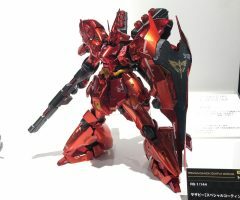 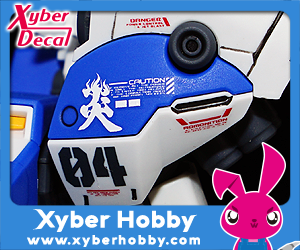 She comes with three face plates including her standard expression, a smiling expression and a bulging eyes expression. 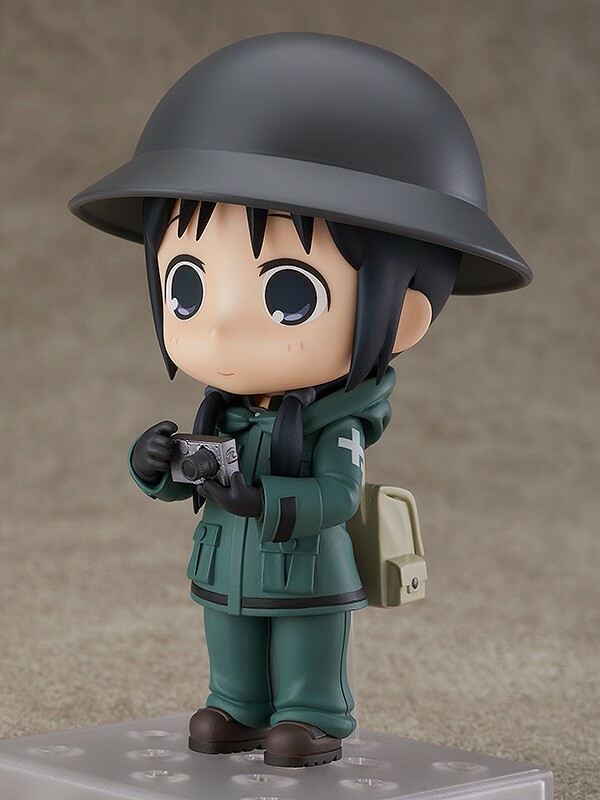 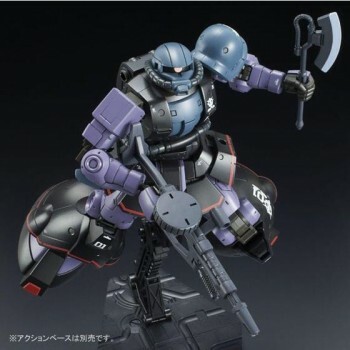 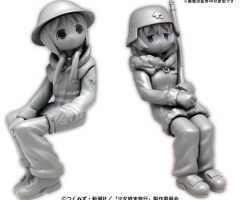 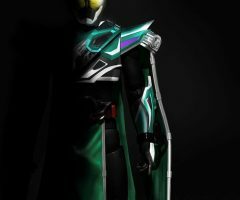 For optional parts, she comes with her trademark helmet, her diary, her backpack and Kanazawa’s camera!